In general, doing any cardio can be a dreaded process. 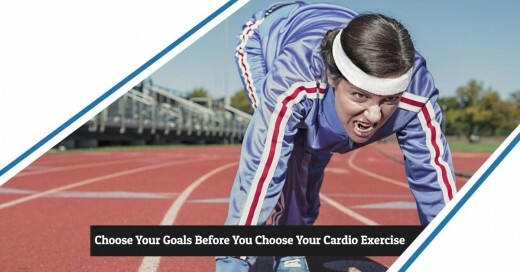 But, for those who are resilient enough to bear the pain of starting a regular cardio schedule, the benefits of cardio exercise are unquestionable. Most cardio exercises are classified into one of two categories, low-intensity and high-intensity. Both low and high-intensity exercises will help you improve your health and burn off body fat. It is best to alternate between the two at a minimum of two days in a six day week of exercise. 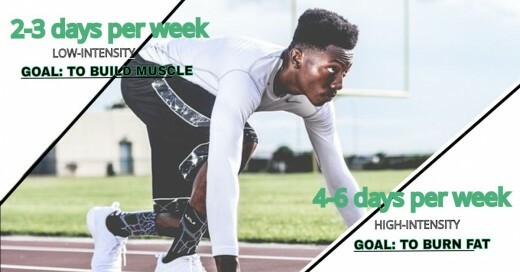 If you do not have a lot of body fat and want to build muscle, then perform cardio exercises for four days out of a six day exercise routine. Of course, we all think of running as the primary cardio exercise. The vast majority of people hate running. Nonetheless, it must be done in some form or fashion if you want to reach your fitness goals. And honestly, it is one of the best options for burning extra carbohydrates/sugars and fat…it’s not the only option though. Without getting into the science of it, your body burns carbohydrates that are stored in your liver and muscles for energy during exercise. During low-intensity long duration exercises your body will burn a decent amount of fat and some carbohydrates during the exercise event. This is generally why bodybuilders maintain a low level of carbohydrates and sugars in their diets. 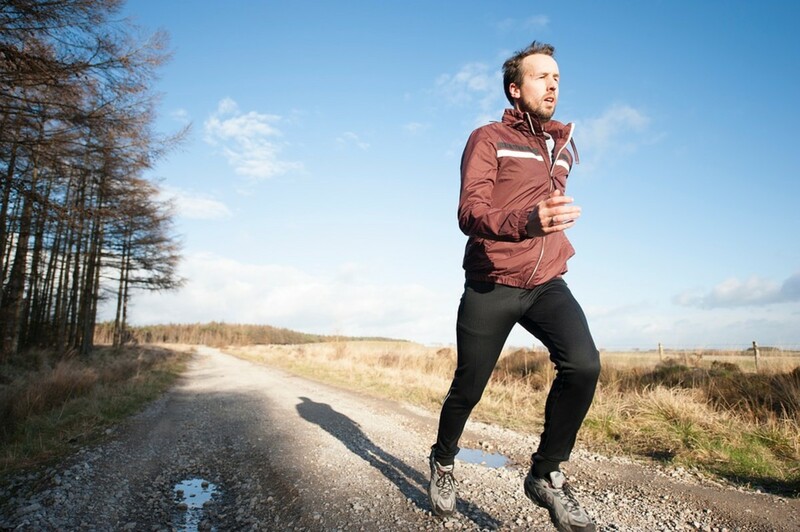 Jogging (slow to moderate pace on a generally flat surface—depending on the distance) and generally speaking weightlifting (the way most people do it) is considered low-intensity exercise. During a high-intensity exercise such as fast pace running, sprints or running on an increasing incline or hill, swimming (depending on pace), HIIT (High-Intensity Interval Training) and Crossfit, the body will burn a lot more calories. Some of the calories burned are from carbohydrates, but there are still fat calories being burned off as well. 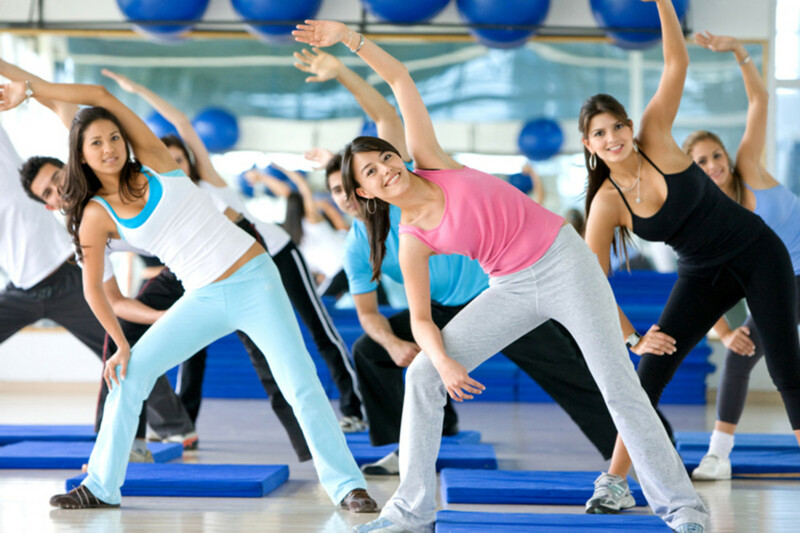 High-intensity short duration cardio exercise will boost your metabolism even after you have completed your workout. This results in your body continuing to burn body fat after you have completed your intense run or intense interval training. 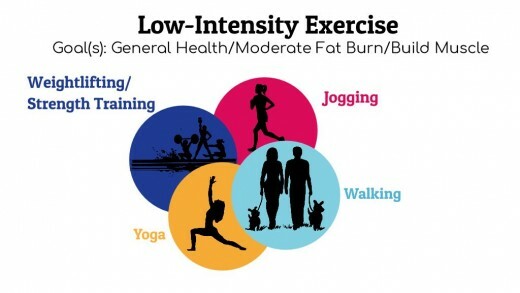 This does not happen following low-intensity cardio or low-intensity aerobic workouts. You can introduce high-intensity exercises into your cardio workout by adding some interval training. What is interval training? Start by walking for 2-5 minutes or so. Without stopping, continue into some jogging equal to the time of your walk. In this case 2-5 minutes. Follow this up by returning to a walking pace until you have caught your breath. You can increase the difficulty by sprinting for a minute before you walk again. Simply alternate between running and walking for 15-30 minutes. 30 Minutes is usually more than enough if done to the best of your ability. That means to push it to 70%-90% of your maximum ability during the sprints. You can also achieve this alternating effect by playing a variety of sports where the natural flow of the game provides for the alternating effect. Sports such as boxing, martial arts, basketball, racquetball, handball, soccer, etc. can be performed alone or with family and/or friends. To maximize your efforts it is recommended you play with others. This will make the event more fun and add a sense of competition which will drive maximum effort. If you want a bodybuilder’s physique the balance is to start with high volume (amount of dedicated motions and resistance for given body part) low-intensity weightlifting and minimum cardio. This will build your muscles. You will also store some fat and water in your new muscle tissue. 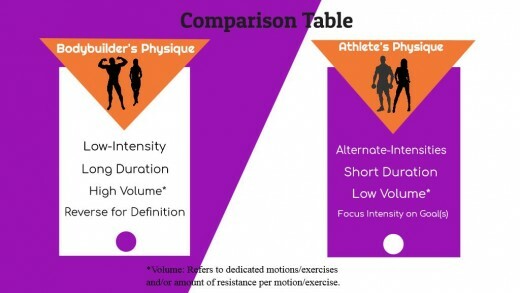 After you've reached the muscle density you're looking for, reverse the balance to low volume(amount of dedicated motions and resistance for given body part) high-intensity weightlifting and cardio 3-5 or more days a week. Starting with 15-30 minutes is recommended. Doing up to an hour of cardio in a session is not out of the question. But is only recommended under supervision or for experienced bodybuilders. The switch in volume is meant to burn off lots of fat and deplete the water in the muscle tissue to only what is needed for movement. Basically, this is how you show the definition you've created over time. 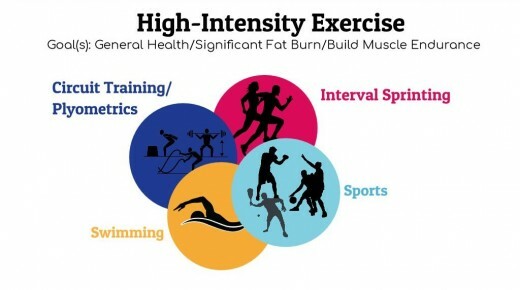 If you want to look athletic you should alternate between high-intensity and low-intensity training. No matter which you prefer, cardio is a must for burning fat and maintaining a lean appearance. Weightlifting isn't required necessarily. You can do body resistance routines, light weightlifting, muscle endurance work or circuit training i.e. quick, high-intensity, full body routines. Think Crossfit, obstacle courses, and boot camps. If you are just starting out, you'll want to start with low-intensity and increase the intensity over a two to three-week period as it is very easy to overexert yourself. Remember, building the body you want requires a combination of strength, endurance, and cardio exercise. Maintain an accurate balance and achieve success.